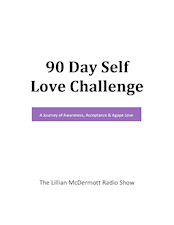 Week of 2/4/19, on The Lillian McDermott Radio Show! This week is also a busy week. But I want to mention one highlight… John Edward! Are you going to his event in Melbourne, Florida? If you do not have tickets and you want to attend, I have a deal for you! THE WINNER WILL BE SELECTED RIGHT BEFORE THE SUPER BOWL BEGINS! Monday, 2-4-19 ~ How we view ourselves impacts our reality. As we have discussed many times on the show, our thoughts control our feelings and our feelings determine our actions. For the last 15 years, Jason Stephenson has been involved in the meditation/relaxation music field with over one million subscribers on his YouTube channel. And on this “Meditation Monday,” Jason and I will discuss how to embrace the I AM, along with the good, the bad, and the ugly! Tuesday, 2-5-19 ~ In 2013, I watched a documentary called Food Matters, featuring Orthomolecular Scientist, Dr. Andrew Saul. I immediately reached out to him. During our interview, Dr. Saul shared how I could get off my asthma medications by using vitamin C. I have not looked back. Making the decision to get off my asthma medication has kept me from potential long term side effects. Dr. Saul will share his 7 Steps to Better Health! Wednesday, 2-6-19 ~ We are so comfortable in our habits and routines that we can miss out on opportunities. Being outside our comfort zone can help us see that life can be filled with new and different adventures. Is there something you long to do but you are afraid to do it? I will share how being open and curious, instead of closed and critical, can lead to a joyful and fulfilling life. On February 3, 2019 / What is Happening Weekly?